Ambrosia and Iron: With a splash! 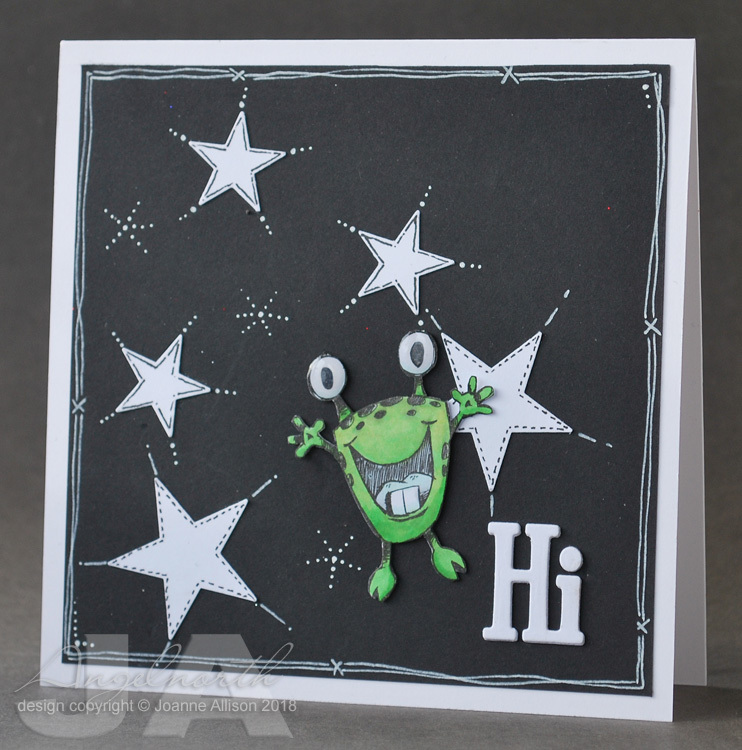 It's Friday so it must be DCM day - Kathy is challenging us to make a card using black and white with a splash of one other colour. I've gone for a green alien on a night sky. This is going to a little boy who has already had a liver transplant and is currently undergoing chemo. He loves to check the mailbox each day to see whether there's anything for him and I thought he might get an extra kick out of something that's crossed the Pond to reach him. 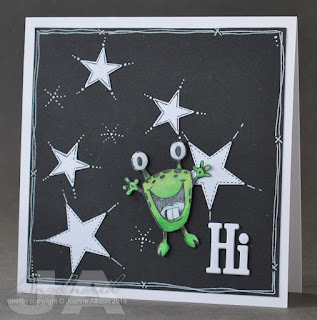 The sentiment is three die cuts stacked together, alien's eyes have Glossy Accents and he's raised up with some glue gel so that there's a bit of dimension going on. aww, what a lovely sweet thought. The little boy will love it.